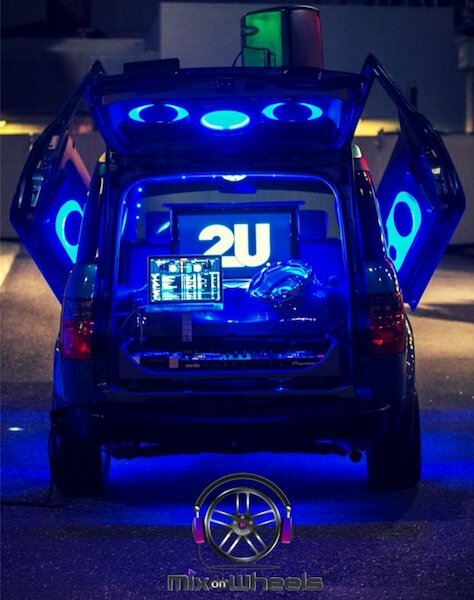 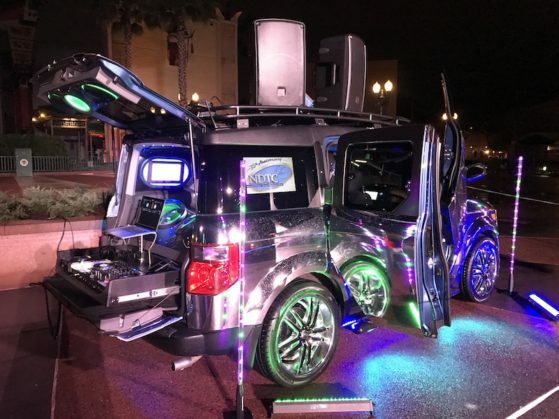 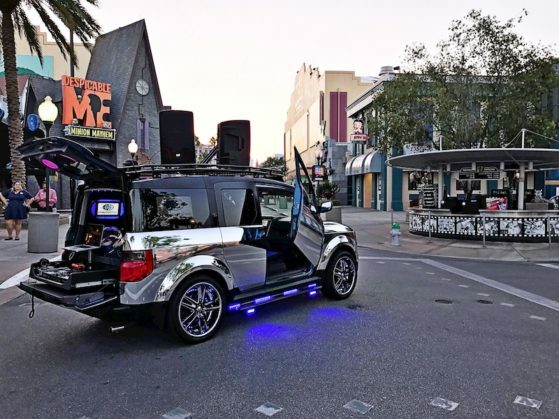 The Honda Element Xtreme is unlike any entertainment vehicle you have ever seen. 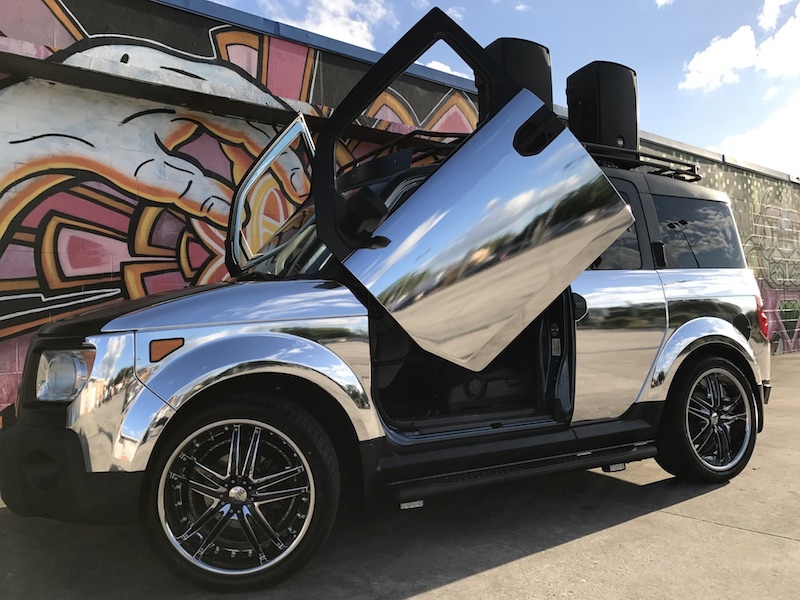 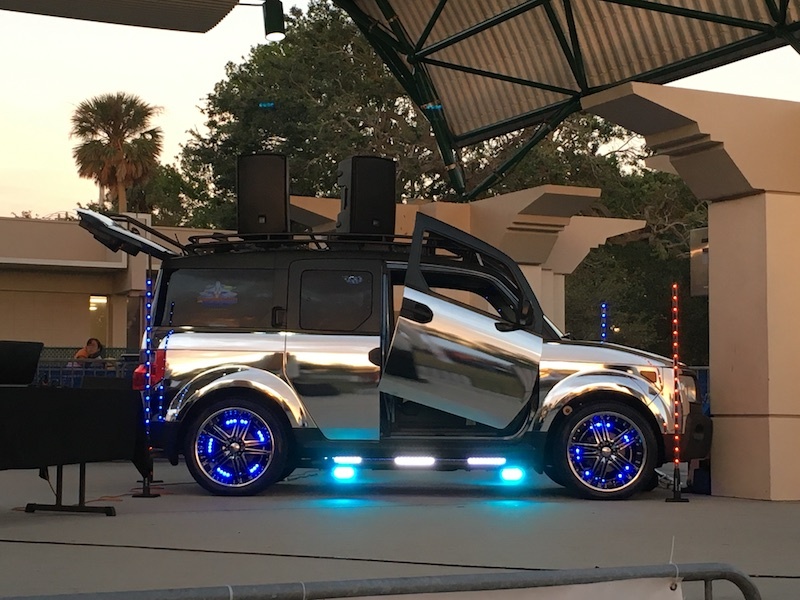 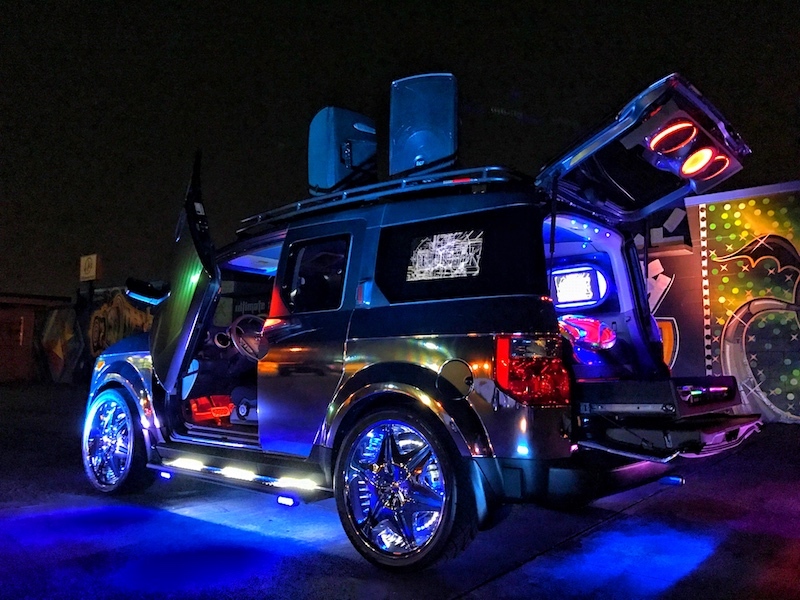 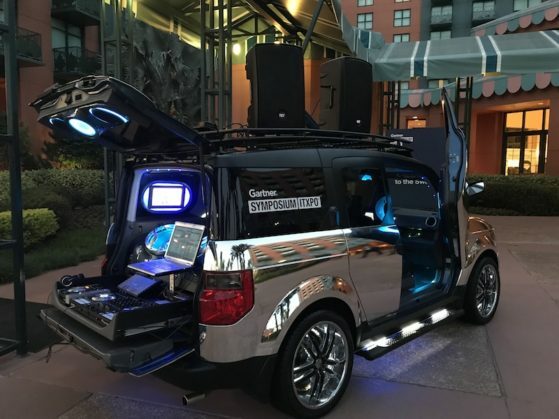 Often considered a dance party vehicle because of its unique look and chrome exterior, this vehicle can actually adapt to any event theme. The venue possibilities are endless as this vehicle can operate both indoors and outdoor events due to its self-contained power capabilities. 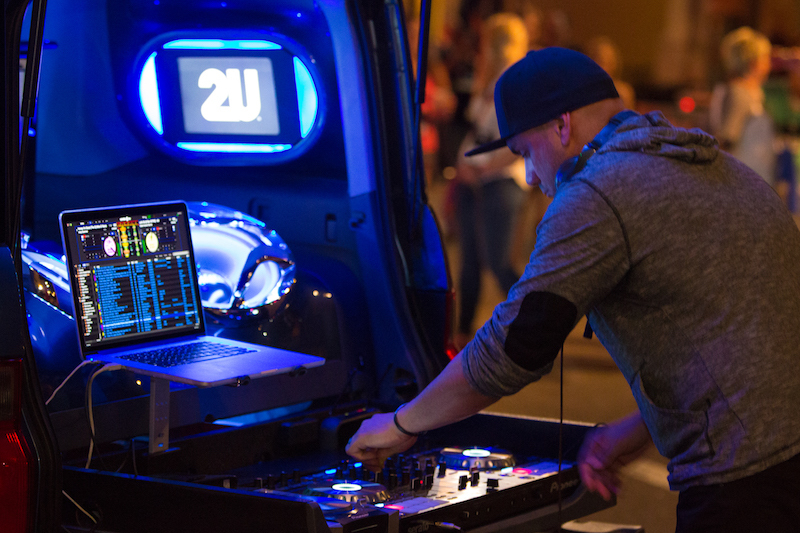 The DJ system built into the E2X can send a feed to a master audio system for large scale events. 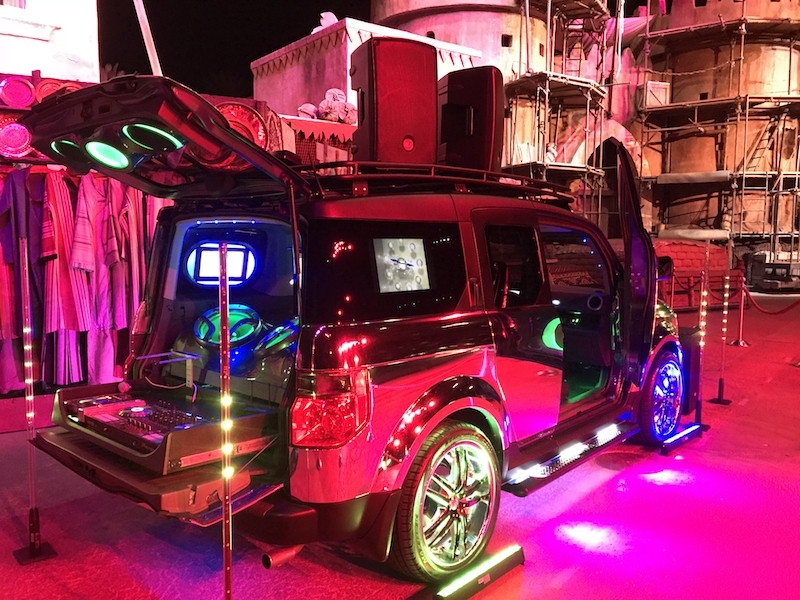 Enhance your brand by displaying your logo and video on the LCD monitors.